Meet Necro and Effie, the screws-loose, madly-in-love mutant couple of the Street Fighter universe! On the run from Urien, Kolin, Nash, and the whole Secret Society, this pair of lunatic lovebirds will need to jump through heaps of harrowing hoops to stay alive! Artist Ryan Kinnard is well known for his stylized takes on video game and comic book characters, and looking at his rendition of Effie, seems like the perfect pairing. 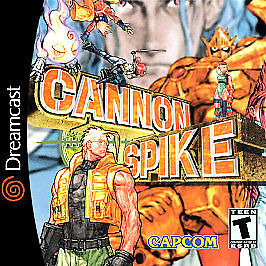 Her costume is inspired by Capcom's unique shooter/brawler game Cannon Spike, which features both Cammy and Nash. This book is placed within a protective plastic bag and reinforced with a similar sized comic book board, and will ship in a specialized comic flash mailer to ensure maximum protection.